Oct. 31, millions of Christians will celebrate Halloween. Why do people who claim Christianity continue to take part in this openly dark holiday? Halloween is coming up; and amazingly, millions of Christians will celebrate this dark holiday—along with their children. People who should be following the teachings and example of Jesus Christ are putting up horrific images in their yards, telling ghost stories, watching horror movies and enveloping their lives in darkness. This horror-filled holiday, with its clearly dark origins and practices, should horrify Christians, right? Unfortunately, many are neck-deep in it. According to a 2006 Gallup Poll, only 11 percent of Americans had religious objections to Halloween. A National Retail Federation survey showed that over 157 million Americans would celebrate Halloween in 2015. For a country where around 70 percent of adults identify themselves as Christian, this should be the real horror! Why do professing Christians celebrate a holiday that is so obviously dark and evil? 1. It doesn’t have to be celebrated as dark and evil. As long as their children dress up for Halloween as superheroes, mermaids or any other bright and nice thing, most parents don’t see an issue with participation. 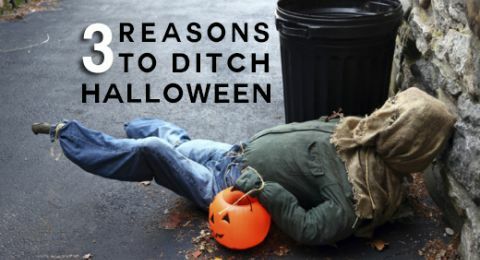 Many reason that it’s okay, as long as they aren’t going as zombies, skeletons or the devil. Interestingly enough, though, people don’t decorate their houses with mermaids and superheroes, do they? The decorations are usually skeletons, ghosts and other horrific things. Also, the movies that are marketed for Halloween are rarely about anything other than horror-filled themes. No matter how good you try to make poison look, it is still poison and should not be ingested. 2. Well, when we dress up and trick-or-treat, we are really celebrating All Saints’ Day. 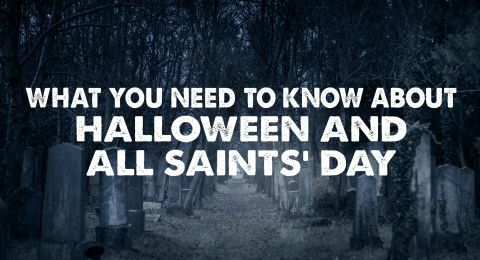 In case you’re not aware, the day following Halloween (Nov. 1) is All Saints’ Day. Catholics, Orthodox and some Protestant denominations use this day to celebrate all saints who have died and gone to heaven. “This day marked the end of summer and the harvest and the beginning of the dark, cold winter, a time of year that was often associated with human death. Celts believed that on the night before the new year, the boundary between the worlds of the living and the dead became blurred. On the night of October 31 they celebrated Samhain, when it was believed that the ghosts of the dead returned to earth” (History of Halloween). The Catholics changed the celebration of the dead to the celebration of dead saints in heaven. But, as we see on Halloween, many of the dark themes have remained. 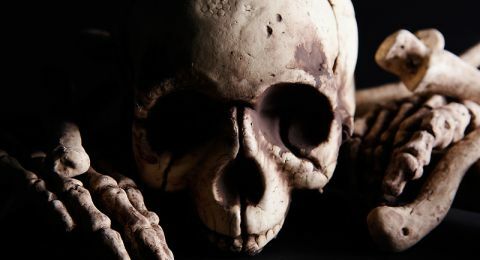 It doesn’t matter whether you are celebrating Halloween or All Saints’ Day—both have roots in paganism. 3. Halloween is fun for the kids, and even adults. Everyone else is doing it! It is interesting to note that the Bible doesn’t have a verse that states: “Christ then said, ‘My followers will do things because everyone else is doing them.’” No, real Christians are to be different and have nothing to do with the “unfruitful works of darkness” (Ephesians 5:11), no matter how “fun” that darkness looks. Fun darkness is still darkness. 4. We aren’t Satanists! We just like dressing up and having a party. Many professing Christians quickly label themselves as God-fearing, confidently reassuring others that they aren’t Satanists when it comes to Halloween. The mere fact that it has to be said says a lot about this excuse. But the issue isn’t whether you are a Satanist or not. Here’s the issue: Do the practices of Halloween please God or not? Do the following praise and honor God or, in reality, support the devil’s work? Celebrating a holiday that involves fear and evil spirits. Decorating homes and yards with fearful, frightening things and images depicting evil spirits. Watching scary movies of murder, death, fear and evil spirits. Many Christians have already discovered that Halloween is not something Jesus Christ wants His followers to celebrate. Join us! God’s power, the Holy Spirit, is not one of fear, but of love (2 Timothy 1:7). Remember this before shopping for a princess Halloween costume right next to a vampire costume with fake blood. Something doesn’t add up. 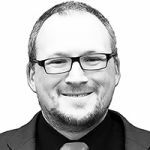 Eddie Foster was born in Ohio, and after living in several parts of the northeastern United States, he once again lives in the Buckeye State, most likely for good this time. He lives in the Dayton area with his wife, Shannon, and daughter, Isabella. They attend the Cincinnati/Dayton congregation of the Church of God, a Worldwide Association.